Services are scheduled for 10 a.m. Thursday, June 2, at First United Methodist Church for Carol S. Kaydahzinne of Artesia. Kaydahzinne, 71, passed away Sunday, May 29, 2016, at her home with her family by her side. Rev. Monty Leavell will officiate at the services, with interment to follow at 2 p.m. at the Kaydahzinne Cemetery in Mescalero. Pallbearers will be Matthew Summa, Matteo Vasile, Uriah Kaydahzinne, Trey Kaydahzinne, Thomas Chaffins and Harry Vasile. Carol was born April 19, 1945, in Beckley, W.V., to Leonard Coleman Vaught and Elsie Mae (Stovall) Vaught. On Aug. 15, 1995, she married Vincent Kaydahzinne in Ruidoso, and the couple came to Artesia in 1996 from Mescalero. 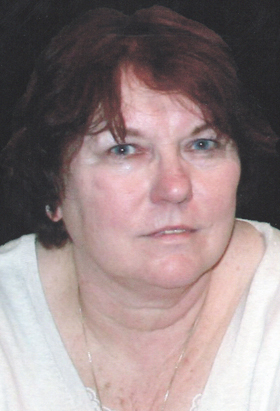 Carol was a certified nurse practitioner and served many people in the Mescalero and Artesia areas. She also enjoyed travelling and attending art shows with her husband. Survivors include her husband, Vincent, of the family home; daughter Kimberly Taylor of Boston, Mass. ; brothers Larry Vaught and wife Sylvia of Jensen Beach, Fla., and Roger Vaught and wife Virginia of Lynn, Mass. ; sisters Patricia Basford and husband Ray of Orange, Mass., Sandra Taylor and husband Robert of Atlanta, Ga., and Tina Carlson and husband Ray of Jacksonville, Fla.; and grandson Brady Taylor.